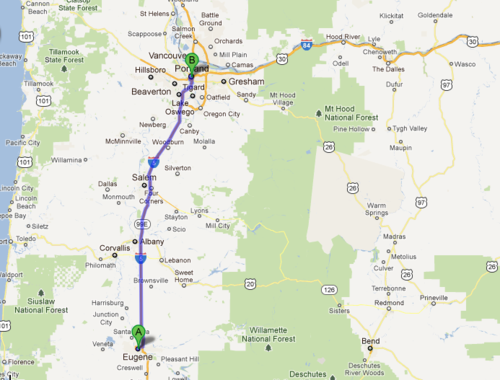 Erika and I have done a lot of driving between Eugene and Portland over the past few months. In fact, the amount of driving we have been doing is sort of making us into crazy people. 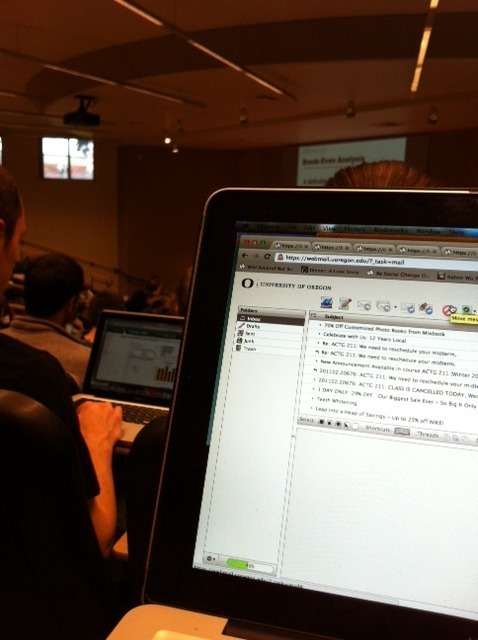 We are in Eugene most Mondays through Wednesdays so I can attend my classes at the University of Oregon. While we don’t always make it to Eugene (we’ve been in Fresno/Anaheim/had appointments in Portland) I try to get to class when I can. Luckily, my professors have been incredibly understanding about my hectic schedule. Nevertheless, my GPA this term is not what I would prefer! Gotta love the Business 101 lectures! Usually I use this time to catch up on Wild Squirrel e-mails and make to-do lists. Oh yeah, and learn about Business (ahem). On Thursday morning, we pile back in the car with our backpacks and boxes of peanut butter, make store deliveries throughout Eugene, and head back down the I-5 to Portland for the long weekend. Since we are both from Tualatin (just outside Portland) we live in our parents’ houses half the week. 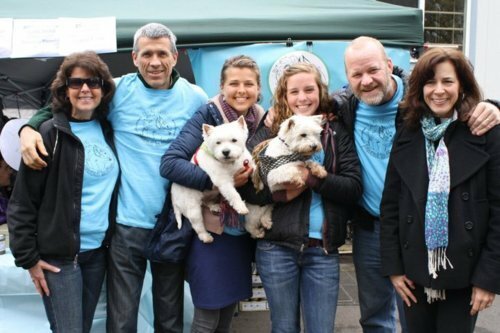 Us, our parents and our matching dogs (no, we didn’t plan that). No sooner are we unpacked in Portland than we have to pile back into the car, make deliveries, and head back to Eugene. It’s a tiring schedule, and one we’ve decided isn’t too sustainable — for our mental health or for the environment. So… we made the decision to move out of Eugene, for good. It was a sad decision to make, since we are leaving a lot of amazing friends and a great college town in Eugene. We’re only juniors, and we had planned on at least another year of college life… funny how things change! So, on Friday we drove down the I-5 yet again, this time bringing all our belongings with us. 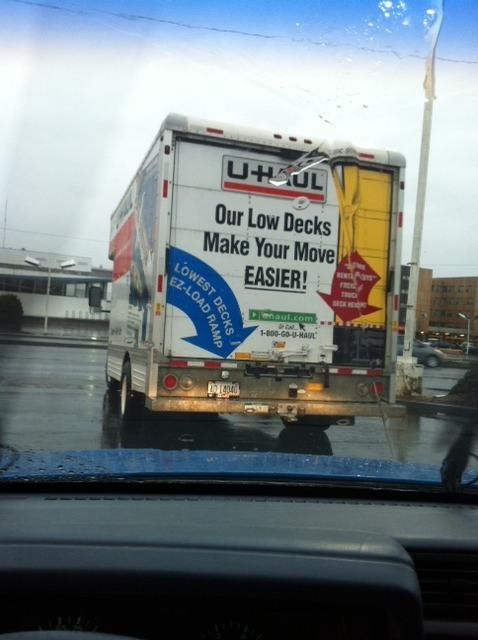 Erika is awesome and drove a U-Haul for the first time, in the rain! She’s a trooper! As of today we are living in the parents houses full time — not our ideal situation, but every entrepreneur seems to do it at some point!